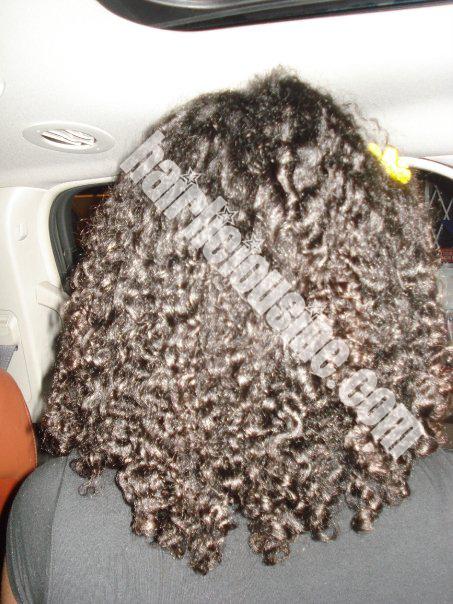 My Second Braid Out ..Thanks Bronzeg - Hairlicious Inc. This past weekend I rocked my 2nd braid-out!! I used the exact same products she used in her video (HE LTR leave-in, EVOO), except I used Herbal Essences Long Term Relationship conditioner as a co-wash, and I used perm rods on my ends instead of satin rollers (haven't seen these in Toronto yet). I take it you enjoyed Caribana. Your hair looks gorgeous!!! wow that looks great...i should try that out. that looks amazing! i haven't mastered my braidout yet..i'll have to use bronzeg's technique myself. how many weeks post are you now? bronzeg's braidout tutorial is one of the best! Very summertime cute. I wish my braid outs would come out like that. Gorgeous braid-out. Looks so soft and moisturised. cute.Love the way it looks. The braid out looks soo nice on you!! I see you enjoying caribana, mad I couldn't reach.. next yr styll..
Looks like Caribana rocked this year... luving that braid out.. oh i want the dress myself its fire! Aww thank you ladies!! I appreciate the love. This is by far the best braid out I've ever done. I'm still going to practice though. I owe it all to Bronze. Oh I was 6 weeks post relaxer OffdaShoulda. I love braidouts. The flower was a nice touch. Wow, that syle looks amazing! Thanks for the tutorial links.